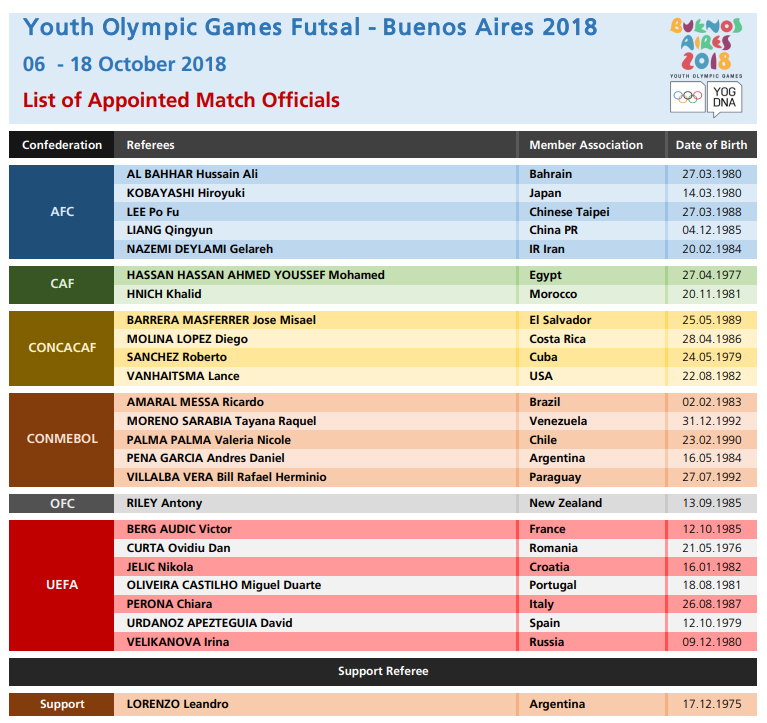 The Organising Committee for FIFA Competitions has released the list of referees that will charge of the men's and women's Youth Olympic Futsal Tournaments at Buenos Aires 2018. Of the 24-appointed officials, 18 are men and 6 are women. Between them, they will be distributed across the 48 games (24 for the men's, 24 for the women's) taking place in Argentina. The competitions will run from 7-18 October.